How to watch Bondi Rescue: Season 11 (2016) on Netflix Austria! The availability of Bondi Rescue: Season 11 on Austrian Netflix can be found in our listings below for each season. If the season/episode you want isn't available, you may be able to unlock it right now in Austria and start watching! Change your Netflix country with a few simple steps and start watching. 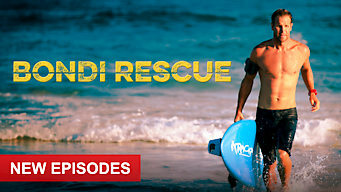 We'll keep checking Netflix Austria for Bondi Rescue: Season 11, and this page will be updated with any changes. This reality series follows elite professional lifeguards on Sydney's Bondi Beach, as they take on everything from animal stings to criminals. Collection 1 of Bondi Rescue has 13 episodes. Because different Netflix countries have different availability for episodes, you'll need to check the episode listing below to see which are available in Austria. While the rest of Australia swelters, La Niña brings the wettest start to a Bondi summer in 50 years. And so much downtime makes lifeguards nervous. After a big night of partying, a couple of drunken swimmers greet the first sunrise of the new year -- and almost go under for the last time. Trying to turn over a new leaf while on a suspended jail sentence, Bondi's newest trainee has just one season to prove he has what it takes. When locals report an "Unidentified Floating Object," imaginations run a little wild. And there's only one way to solve the mystery. Lifeguards must rescue a surfer being smashed against cliffs in huge seas. The jet ski can't get close enough, and a rescue board would be deadly. As lifeguards get fed up with petty distractions, a young boy goes missing among thousands of beachgoers, while a teenage girl nearly drowns. Having shown he can handle serious rescues, Jesse still needs to prove he's mature enough to be a professional lifeguard. Reidy was an overweight kid who didn’t grow up surfing. Now he's overcome harsh criticism to become a lifeguard, and has a world record in his sights. With clear warning signs about dangerous currents going mostly ignored, Terry tries a simple experiment to reward beachgoers for their attention. To propose to his girlfriend in a helicopter, one lifeguard needs the rest of the team to write a huge "marry me" sign in the beach sand down below. On a hot and tense Sunday morning, a surfing collision results in a deep water spinal injury -- and surf rage breaking out on the shore. Swimmers ignore rough water warnings. Tracking a stolen phone leads to one false suspect and one fidgety one. How big a barrier is language, exactly? Celebrating the end of the Bondi surf season, four teams compete to build the wackiest craft to ever catch a wave. Collection 2 of Bondi Rescue has 13 episodes. Because different Netflix countries have different availability for episodes, you'll need to check the episode listing below to see which are available in Austria. Bag thieves on the prowl run afoul of Bondi's finest. Meanwhile, the oldest lifeguard on the beach finds his job on the line during a fitness test. Santa comes to Bondi and he's brought the South Pole with him. It's the wettest Christmas in more than a half-century. New Year’s Eve festivities make for unpredictable tourists -- whose resolutions apparently include quitting their common sense. It's official: the hottest day ever recorded at Bondi. And it's hardly a surprise to lifeguards when tempers start boiling over. H-Man loses his cool with three swimmers he's forced to rescue just seconds after warning them not to swim in a dangerous area. Beachgoers report a drunk woman missing in the water. Lifeguards get word that she might be suicidal -- and also get a really bad feeling about this. The Lifeguard Service Operations Manual is a thorough and essential training tool. Here are some of the many things it doesn't cover. As rough weather makes for some extra-big waves, the boys get in a little surfing of their own. Then a cliffside rescue puts their skills to the test. Shaken up by a casualty in the water, the lifeguards take a moment to reinforce their brotherly bond with moral support. Chappo feels conflicted about nabbing a young bag-snatcher. Meanwhile, some people respond to being rescued in ways you wouldn't imagine. Encountering a young German tourist with a fractured spine, Chappo and H-man take every precaution while prepping him for the hospital. Roughhousing with the local rugby club, Yatesy takes a rescue board straight to the ribs. He refuses an ambulance, but the others see it's serious. After wandering naked on the beach and discarding the towels she's been offered, a woman makes a break for it into the Bondi streets. Season 10 of Bondi Rescue has 13 episodes. Because different Netflix countries have different availability for episodes, you'll need to check the episode listing below to see which are available in Austria. Season 11 of Bondi Rescue has 13 episodes. Because different Netflix countries have different availability for episodes, you'll need to check the episode listing below to see which are available in Austria. Want to learn how to get American Netflix in Austria?